If you've noticed it takes longer for cuts and scratches to heal now that you're getting older, you're not alone. The skinned knee of a toddler repairs itself a lot faster than the scraped skin of a senior citizen. Researchers first became curious about this trend during World War I, noticing that it took older soldiers longer to recover from their wounds than the younger ones. However, only recently have scientists been able to begin untangling the reasons behind this slowdown. 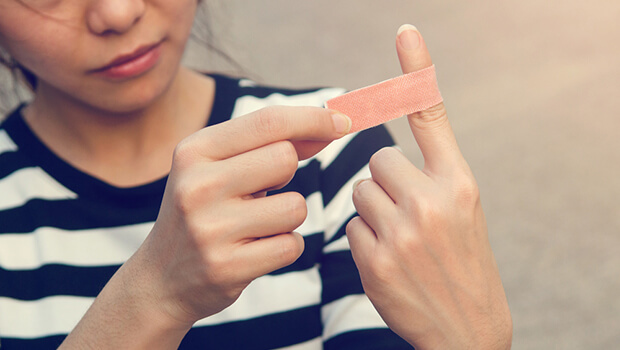 Researchers at The Rockefeller University began examining wound healing in mice, comparing the process in mice that were two months old versus 24 month olds. Mice of these ages mimic the experiences of a 20-year-old and a 70-year-old human, respectively. According to their research, which they published in the journal Cell, skin cells have to work together with immune cells to close up a wound. However, as the mice age, the communication process between the two types of cells begins to break down, making the whole process take longer. 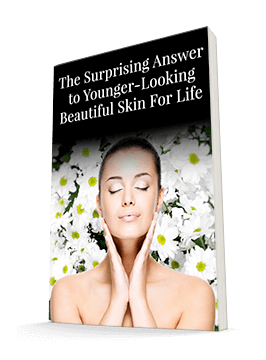 In particular, after a scab forms, skin cells called keratinocytes begin to form a new layer of skin underneath it. The researchers found that in the older mice, this process could take days longer than in the younger mice. That's because keratinocytes are supposed to tell immune cells to help them. In the older mice, this message wasn't getting sent. The researchers found that by adding the protein that's supposed to convey this message to mouse skin tissue in a petri dish, keratinocyte migration improved. They're hopeful that this could open the door to new treatment pathways in humans. While they're pursuing this line of investigation, there are some other steps you can take if you think your skin isn't healing as quickly as it could or should be. According to a review study published in Current Opinion in Clinical Nutrition and Metabolic Care, supplements such as zinc and vitamin C with bioflavonoids can help speed up the process. One study involving people with open wounds after biopsies found that the group of participants that took a supplement of vitamin C, bromelain, rutin, and grape seed extract experienced wound healing about three days (20%) faster than the placebo group. These supplements are certainly worth a try, particularly as vitamin C is great for your skin both internally and externally. You also can try vitamin A to speed up the healing process. Eating a healthy, balanced diet will also help ensure that your skin has the resources it needs to heal in a timely manner.